Virgin Australia general manager for customer experience and product Tash Tobias recently flew home from Los Angeles. The flight took off late in the evening Los Angeles time, or late afternoon on Australia’s east coast. That meant her children were still in school and would normally be uncontactable from the time the doors closed until the flight landed. However, the aircraft operating the flight was one of Virgin Australia’s Boeing 777-300ERs trialling inflight internet Wi-Fi ahead of the official rollout. to exchange a few messages with her family before ploughing through a few emails and then getting some sleep. The Virgin Australia executive said the experience made for a much more relaxing flight and highlighted the appeal for onboard connectivity as not just the exclusive domain of the business traveller. “These days, there is so much more combined travel, you know business and leisure combined,” Tobias explained in an interview with Australian Aviation. “The lines are not as clear cut as they used to be and the world is changing and there is a lot more diversity in the people who are travelling for business too. “And it is just not as clear as business people only want to use it for email and people who are going on holidays want to use social media and stream Netflix. 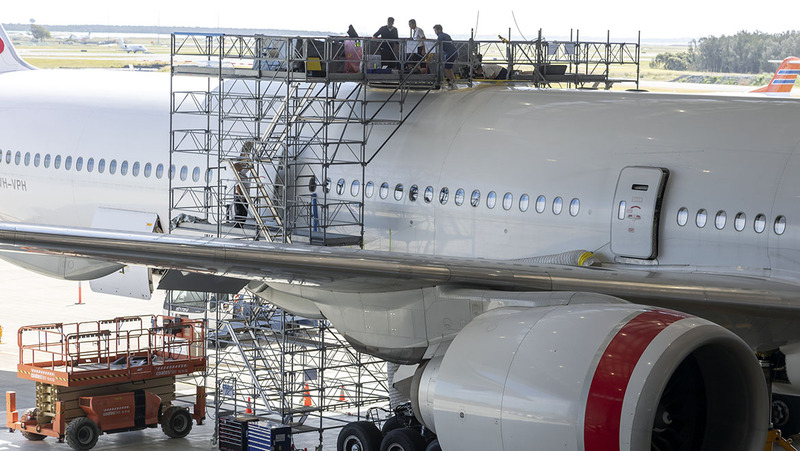 Australian Aviation spoke to Tobias at Virgin Australia’s Brisbane maintenance hangar on May 16 as the airline’s engineering crew was installing the necessary equipment for inflight internet Wi-Fi on 777-300ER VH-VPH. On that day, technicians were in the process of installing the antenna on the top of the fuselage just in front of the tail. 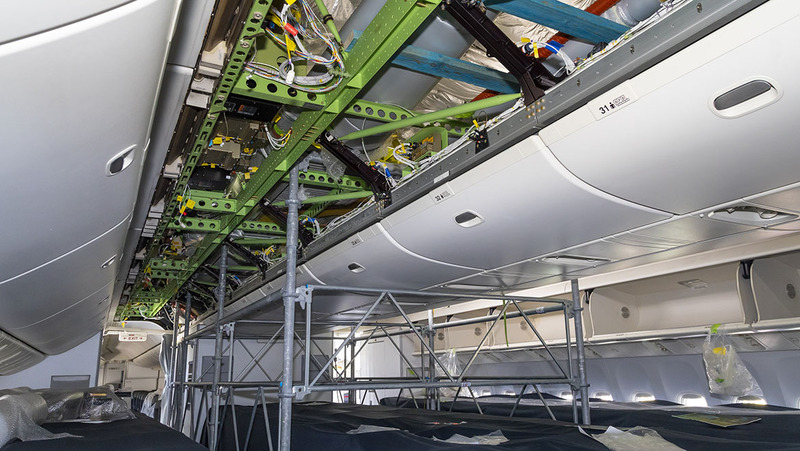 And inside the aircraft, there was cabling work going on in the avionics bay and throughout the cabin, with the seats covered up by protective sheets as wireless access points and the onboard router were added. 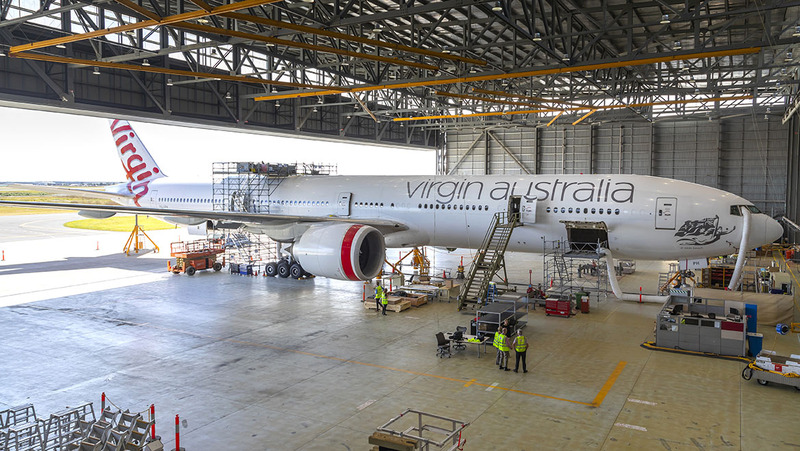 The installation on VH-VPH was undertaken alongside some scheduled maintenance and was the first time Virgin Australia had completed the Wi-Fi work on its 777-300ER fleet in-house. VH-VPH was at its Brisbane hangar from May 8 until May 24. The airline’s other four 777‑300ERs – VH-VOZ, VH-VPD, VH-VPE and VH-VPF – had Wi-Fi installed in Singapore. Two aircraft were completed in November and December and a further two in January and February. The installation of Wi-Fi equipment was completed under a supplemental type certificate (STC) that allowed for the modifications. The completion of the Wi-Fi installation on the five aircraft used to operate flights from Los Angeles to Brisbane, Melbourne and Sydney allowed Virgin Australia to officially switch on the technology to all passengers on those routes from June 5 and declare itself to be the first Australian airline to offer Wi-Fi on international services. Prior to the official launch, Virgin Australia had one 777-300ER conducting trials with passengers, while private testing was going on behind the scenes on other 777s as they were equipped. Tobias said the results of the internal testing and passenger feedback had been fantastic. “We were flying them sort of in private mode so that we could just make sure that everything was working before we allowed our guests to experience the Wi-Fi on board all of the aircraft,” Tobias said. While the level of coverage on the long journey across the Pacific depended on the actual flightpath taken, Tobias said the service was available for the “vast, vast majority of the time”. Figures from the Gogo website indicated its 2Ku product offered up to 15 Mbps per passenger device, covered 98 per cent of global flight hours and had 98 per cent service availability. “In the early days it was all about innovation and let’s face it the majority of the early services that were offered were pretty average in terms of speed and connectivity,” Tobias said. Research commissioned by Virgin Australia and conducted by Pure Profile found 70 per cent of Australians admitted to feeling frustrated because they could not access the internet during a flight. Further, 65 per cent of respondents said they felt overwhelmed catching up on emails, messages and other unread notifications once they landed. Virgin Australia has termed this inability to stay connected on flights that leads to feelings of stress and fear of missing out (FOMO) as “net lag”. University of Sydney cyberpsychologist Dr Andrew Campbell said not being able to keep up-to-date with the online world and stay in touch with friends was a “real fear that’s only grown since the introduction of smartphones”. “Like it or not, staying connected has become an essential part of life for most of us and certainly seems to be where we’re headed as a society,” Dr Campbell said in a statement. On domestic flights, Virgin Australia is offering a so-called standard Wi-Fi free to all passengers, while those wanting a faster connection – for streaming for example – can opt to pay for a high-speed service. “For us, to help reduce the anxiety our guests feel from net lag has been a real driver of wanting to have a great service for Wi-Fi on all our aircraft,” Tobias said. “The complimentary offer is really to take care of this net lag that we’ve been talking about. “So our guests will be able to stay in touch, they will be able to use social media, they will be able to use Wi-Fi enabled messaging applications. “They will be able to do emails, without downloading really large files. They will be able to do a lot of things they want to do to stay in touch. “But we are charging guests for higher bandwidth activities like steaming content, particularly on domestic flights because we think that not everybody is going to want that but those who do will be able to have the choice. There will be no free service on international flights, however, with packages for one hour or the entire flight available for purchase. VIDEO – A Virgin Australian promotional video on its 777-300ER Wi-Fi rollout. Virgin Australia started offering inflight connectivity in April 2017 on its Boeing 737 fleet. The service began as a free trial on domestic flights on board a single 737-800, which was followed by a rollout of the technology to the rest of the fleet. On June 5, the airline said 75 per cent of its 737 fleet would feature inflight internet Wi-Fi by the end of calendar 2018 (as at December 31 2017, Virgin Australia had 81 737 aircraft, comprising two 737-700s and 79 737‑800s in its fleet). Finally, Wi-Fi installation would begin on the airline’s six Airbus A330‑200s – which are used on flights to Hong Kong and on trans‑continental domestic services – in early 2019. 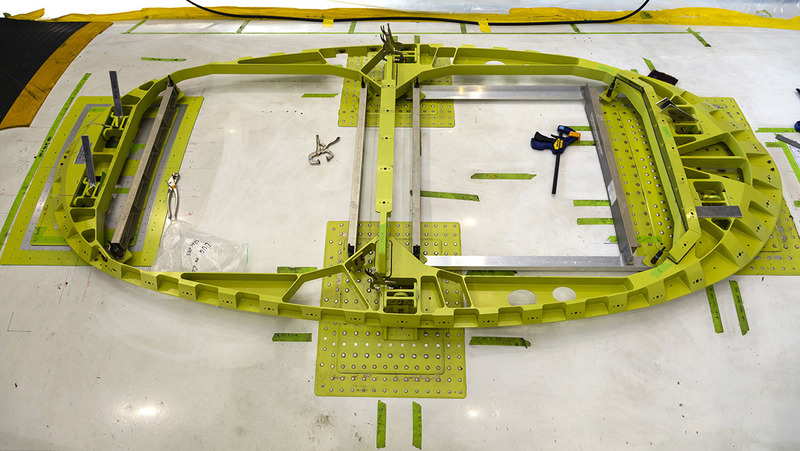 Virgin Australia’s Brisbane maintenance hangar was expected to undertake the bulk of the installations on the 737s, which will take about four days per aircraft to complete. Further, Tobias said there was a lot of work going on in other ways to take advantage of having a connected aircraft, both from a passenger experience and operational point of view. However, she declined to offer details. “There are a number of other applications and we are at the beginning of our journey and we’ve got a lot of innovation work going on to determine exactly what the best use of the technology is for us so you are going to have to watch this space,” Tobias said. While Virgin Australia is currently the only Australian airline to offer inflight internet Wi-Fi on international flights, Qantas did trial Wi-Fi for a short time on its Airbus A380 flights between Australia and the United States in 2012. However it was restricted to those in first and business class and the reported take-up was low. In April 2017, Qantas relaunched an inflight internet Wi-Fi service in partnership with ViaSat and nbn Co for domestic flights. It uses Ka band satellites and is a free offering for all passengers. Qantas chief executive Alan Joyce said the airline has held off on inflight internet Wi-Fi on its international flights because it did not want to have a “sub-standard product”. “There is a very good reason why we don’t have Wi-Fi at the moment. Because there’s two different bands of Wi-Fi,” Joyce told reporters on the sidelines of the International Air Transport Association (IATA) annual general meeting in Sydney on June 4. “There’s Ku and Ka and Ku is the slower band where you can’t have everybody on the aircraft and you certainly can’t have people streaming. The product internationally is terrible we think. And we’ve tried it with the Ku band. “Bizarrely if you put the old product, the Ku, on you have to rip her off and put the new antennas, new equipment in to get ready for the new one. That’s the reason we don’t have it internationally. As such, Qantas was waiting for the launch of Ka band satellites from ViaSat before considering the rollout of Wi-Fi on its international flights. “ViaSat have three satellites they are going to launch,” Joyce explained. The airline said in late May 2018 it had expected to have two of its 12 A330-200s which are predominantly used for domestic services and half of its 75 737-800s fitted with Wi-Fi by the end of June 2018. And across the Tasman, Air New Zealand commenced trials on its Boeing 777-300ER fleet in October 2017. According to the airline’s website, the 777-200ER fleet was next to have Wi-Fi hardware installed, followed by the remainder of its international fleet comprising the 787-9s and Airbus A320s. The New Zealand flag carrier has chosen Inmarsat and its GX for Aviation product, which uses Global Xpress Ka band satellite network. Having just completed a business class flight to the USA with virgin, I was disappointed I didn’t get free wifi. On eithad, business customer have free wifi whilst economy pay for the service.